Get 10% off your next order at Standout with our exclusive promo code discount. Click the ´Get Code´ button, and copy your voucher code. 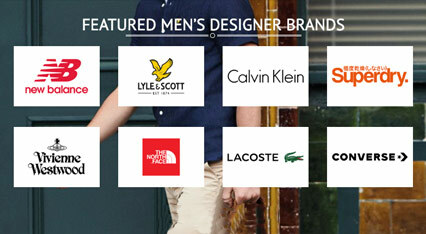 Visit standout.co.uk, and start looking for the very latest men´s clothing. Once you´ve found something that suits your budget and needs, add it to the bag. On the top right corner of the screen, you´ll see an orange box with a shopping bag icon. You can click on this icon if you want to review and edit items in your bag. Next to the icon, you´ll also see the number of items in your bag, as well as their total value. You should also click this icon if you want to finish your order. Below all payment options, you´ll see a sentence ´Got a Promo Code?´. Click on it, and an empty box will appear. Paste your discount code, and click ´Go´. Your discount will be applied immediately. Click ´Proceed to Checkout´ to pay your order with your credit/debit card, or choose one of the other two options - ´Check out with PayPal´ or ´Pay with Amazon´. Standout was launched in 2005, as an online store with just a few brands - Gio Goi, Guide London, and Peter Werth. The idea was to sell men´s clothing at the best price, and all in one place. Without visiting several different stores, you´ll find the latest trend and get the best shopping experience. Today, Standout has grown to a selection of over 50 designer clothing brands, including Superdry, New Balance, The North Face, Lacoste, Levis, Lacoste, Converse, Calvin Klein, Diesel, Emporio Armani, Tommy Hilfiger, and many more. This discount is valid on full priced items only.